There are so many good things about the new Adobe Slate app that it’s hard to know where to start. That said, we think this app’s very best feature is its cost. Adobe isn’t typically known for offering free products, which is why the ability to download this app at no cost upfront or monthly is such a big win. The next big plus is that this app allows you to create beautiful web pages with no coding or design skills required. In fact, it helps users build parallax pages—which is the perfect format for photographers to showcase their craft. 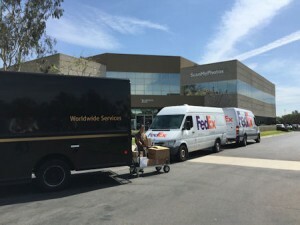 Each day hundreds of thousands of photos are safely delivered for digitizing at our ScanMyPhotos.com headquarters. Throughout the day, there is a tenderly gentle dance as couriers are delivering and picking up decades of family photos that are awaiting scanning or returning. A photo is so much more than just a photo—each one is a moment of life and love captured as keepsakes. While we all hold our photos dear, no one may understand just how precious and vital photos can be more than recent ScanMyPhotos customer, Brett Stepanik. Brett, a freelance photographer and photo assistant, struck up a conversation with the Jones* family at a dinner party. The family had a special photo-scanning project that needed the help of someone with a deep sense of empathy, who would understand the gravity of their situation. Fortunately for them, it was a good thing they turned to Brett. Whether it’s a recipe for how to make a homemade water blob or an article on how to set up a S’mores buffet at a wedding, a search on Pinterest can yield incredible results. The gang here at ScanMyPhotos is always (p)inspired by what we find on the visually dynamic social site, but we wanted to take things a step further. Since we love to preserve and observe historical photos, we did a search for vintage photos on Pinterest and were not disappointed with the results. You could easily spend hours scrolling through all the old photos and stories that people have pinned (we did! ), but, after a while, we discovered that the best photos were featured in articles and blogs. 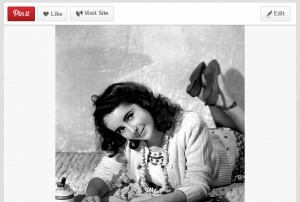 If you really want to smile at the past, check out the warm-n-fuzzy vintage photo articles we found on Pinterest. 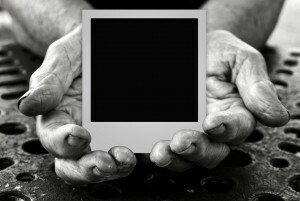 Do you share photos online? In today’s all-digital world, if you are like most tech savvy disbursers of information, the most commonplace pictures shared are of what you ate last night or those instant moments captured on your mobile device. But, there are 3.5 trillion old school photo snapshots that are still analog. The challenges for the top photo sharing apps, and cloud storage services like DropBox and Box is how to digitize those past nostalgic memories. #ThrowbackThursday (#TBT) is another popular trending tool for showing off pictures from decades ago. Each of the below photo sharing apps, along with all the rest have a bog problem. Faced with trillions of still analog pictures, the biggest problem in photography is how to easily and affordably get pictures scanned. Using a bulk photo scanning service like ScanMyPhotos.com is a smart solution for revisiting past pictures to then upload and share. 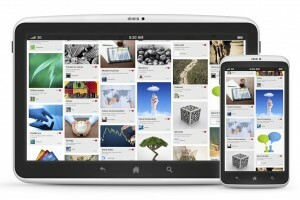 What is your favorite photo sharing app and are you using it for also sharing past pictures that are now digital? Facebook Camera is the fastest way to share photos with your close friends and family members on Facebook. Browse through a feed of your friends photos, upload multiple photos at once, and add filters to make your photos look unique. Instagram lets you customize your photos and videos with custom built filter effects and cinematic stabilization. Share unlimited photos and videos in a photo stream. Snapchat is used for sharing personal photos and funny videos with friends. Snap a photo or a video, send it to your friends, and it will instantly disappear in seconds after they view it. Flickr fans take photos with the app and instantly share images with Flickr groups, Facebook, Twitter, and Tumblr. There are filters, editing features to share those high-resolution photos.